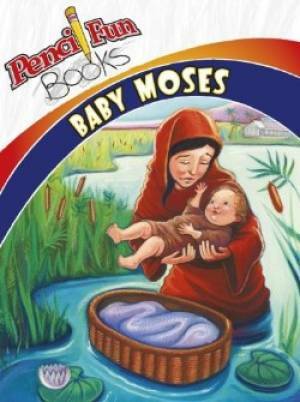 Baby Moses Pencil Fun Books 10 Pack was published by David C Cook in February 2009 and is our 28886th best seller. The ISBN for Baby Moses Pencil Fun Books 10 Pack is 9781434768247. Be the first to review Baby Moses Pencil Fun Books 10 Pack! Got a question? No problem! Just click here to ask us about Baby Moses Pencil Fun Books 10 Pack.